Gigi and her Atomic Hipsters, Idyllwild 2018: AWATT! Gigi and Her Atomic Hipsters is the newest and coolest band to invade the hi-fi soundscape! The band features the exotic Gigi on accordion and steel drums, the lush sounds of Craig Fundyga on vibraphone, the ethereal guitar rhythms by Chuck Alvarez, the solid bass stylings of Benj Clarke, bongos and birdcalls by percussionist Bobby Easton, and the earthbound beats of Simon Carroll. 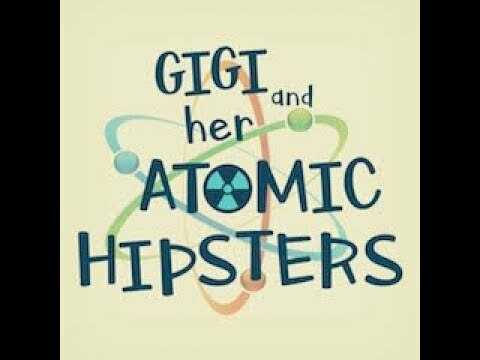 Whether it is on the festival concert stage or your special intimate event, Gigi and Her Atomic Hipsters are sure to be a hit. Unions: AFM, SAG, Some Members Are Non-union. Gigi & Her Atomic Hipsters is the product of these music and performing arts experiences throughout Gigi’s life. Musically diverse, the band could be described as a “music smoothie” – a mix of exotica, space age pop, bachelor pad or lounge music, easy listening, island, swing, and world fusion. Audience members of all ages are encouraged to dance and participate in this interactive, family-friendly show. 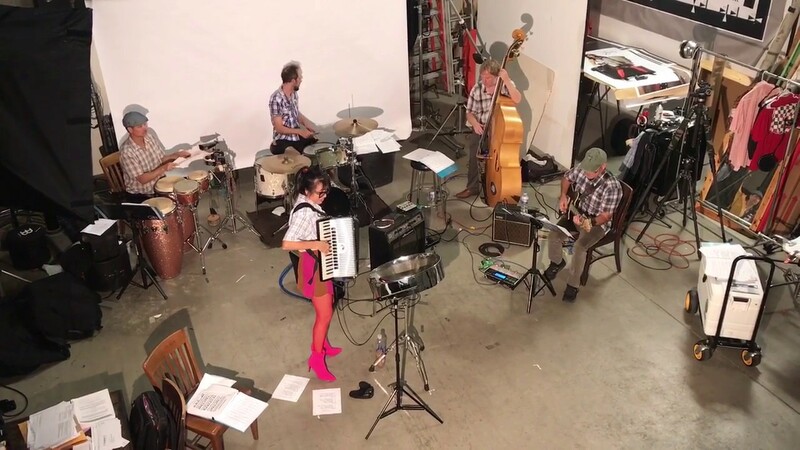 Gigi and her Atomic Hipsters was formed in 2012 as the result of Gigi being a special guest performer at the Grand Performances summer concert series. 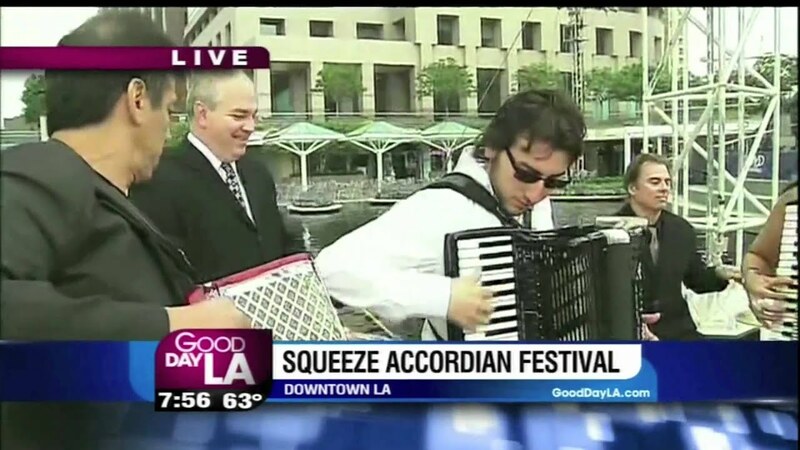 The concert program was called “The San Pedro Squeeze,” which showcased performers and music that represented the ethnic communities of San Pedro, California. 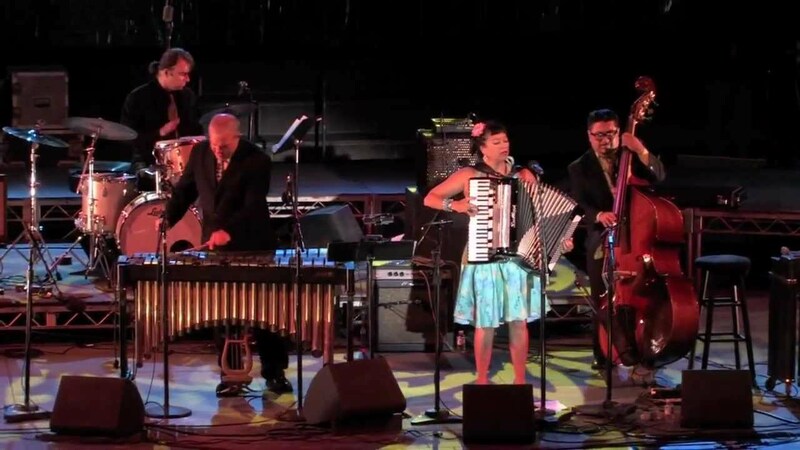 Four accordionists from the United States and Canada were chosen to perform; Gigi was one of them and knew it would be the perfect opportunity to bring to fruition a band project that she had in mind for several years. Influenced by jazz accordionists the late Art Van Damme and her teacher, the late Frank Marocco, Gigi had wanted to form a group that would maintain a similar musical ambience to that of these jazz accordionists but also be reminiscent of bands popular to the “space age bachelor pad” scene of the 1950s-1960s. Having worked steel drum gigs with her longtime musical partner, vibraphonist Craig Fundyga, she knew that the exotica sound of vibes would play an important role in the band. The original 4-piece acoustic band also included members Ruben “Gitano” Ramos (acoustic bass and guitar) and Chris Ross (drums and percussion). After another hiatus while all the members were working on other projects, Gigi decided to go a slightly different musical direction with changes that included writing more quirky original songs. Influenced by the 1960s jazz, boogaloo, and go-go music, especially from Europe and abroad, the quartet became a sextet that incorporated electric guitar or keyboard, steel drum, and an additional percussionist. Finally Gigi found the eclectic sound she was looking for with her Atomic Hipsters. The set up may vary based on the performance space. Ideally the vibraphone is down stage, house left and the accordion is down stage, house right (or opposite). Bass may be behind the accordion or slightly down stage, on the end next to the accordion. Drums should be as centered as possible behind the band, on a sturdy riser, if possible. Backline checklist is on the following page. ADDITIONAL INFO: Cold bottled water and towels should be provided. A green room or other private space to prepare before the concert is ideal. Organic drinks, coconut water, and light, healthy snacks should be accessible to the band. Other arrangements regarding food, travel, and accommodations are to be negotiated. Although Gigi & Her Atomic Hipsters can play music from many eras and musical genres, their music primarily represents the music and culture of the “space age bachelor pad” scene of the 1950s-1960s. Musically, the band has shows that are based on themes that are meant to include audience participation. The band prefers promoting the shows to the public as events where dressing up and dancing is encouraged. Shows can be from 20-90 minutes or longer (with breaks) if necessary. The band welcomes suggestions or requests for specific themes. Repertoire may include original songs composed by members of the band. DRUMS: All D.W. – 22/18 bass drum; 8/12-16/16 toms; 5/16 snare – wood; Paiste cymbals – 14 high hat, 20 ride, 16 crash; approximately 3 mics for drum set; bongos; congas. OPTIONAL but desirable, misc. percussion: shakers, claves, wind chimes, etc.